Also of interest: Also of interest: Author Interviews and the Global Eco-Fiction series. I talked with Marissa earlier this year after publishing her young adult novel Code Blue (Moon Willow Press, 2018) and thought this novel would be an excellent addition to our focus on spotlighting authors who write global warming fiction for teen and young adult fiction audiences. The YA/teen audience has always been evident at the site–and will continue–but this new focus feature will last a few months. 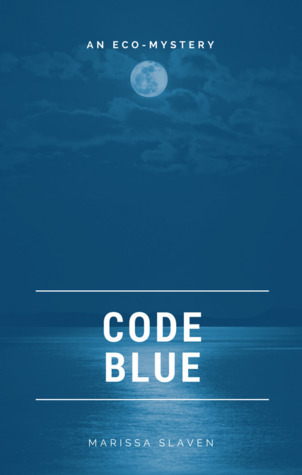 Code Blue is a YA speculative thriller mystery set in a not-so-distant future where rising temperatures and sea levels have dramatically reshaped the world in which we live. 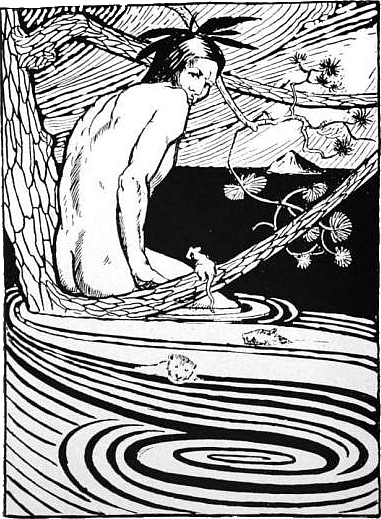 Young adults and teenagers who worry about our planet will get something from this novel and at the same time relate to it on a personal level as they worry about their immediate futures: can I get into the college I want–and their planet’s present and future: how will global warming change our home, our lives? The novel opens with sixteen-year-old Atlantic “Tic” Brewer about to take the North Eastern Science Academy entrance exam, the gateway to attending the world-renown school known for fostering the leading scientists fighting climate change. It’s just Tic and her mom at home—before she was born, her dad was tragically killed in a boating accident while he was on a research trip in the North Atlantic. He was a hydrologist, and Tic wants nothing more than to continue her father’s research and help stave off the impending crisis of rising sea levels. That’s where the NESA comes in. When Tic’s acceptance letter arrives, she’s thrilled and a little anxious. But before she can get settled at the prestigious boarding school, she finds a mysterious note that says “just in case” and a strange sequence of numbers on the back of a photograph her mom sent with her, the last snapshot taken of her dad and mom together before his trip. Did he know something was going to happen to him? Tic enlists the help of her new friends to track down any clues about her father’s research, and while working on her own hydrology project, Tic discovers some startling facts of her own. Life on Earth might be much more precarious than anyone has let on. Rising oceans, a vastly changed environment, and people who struggle to survive in this new world are not unusual; but what is notably different in Code Blue is a survival account of this changed world as seen through the eyes of a teen who lives behind a barbed-wire fence that stretches some 28,000 miles, designed to either protect or barricade those within (she’s not quite sure which applies)…Dystopian fiction comes and goes, and too many assume the trappings of formula productions; but the test of any superior story line lies in its ability to draw readers with powerful characterization and associations that lend to a reader’s emotional connections with events as they unfold. Code Blue holds a special ability to juxtapose both the bigger ecological picture with the microcosm of a young adult’s personal challenges as she moves through this world. Having worked with Marissa for a couple years, I’ve seen her enthusiasm in action. Marissa is a mother, daughter, sister, palliative care doctor, blogger, podcaster, and author. She says that she has always loved reading and would devour any books she could get her hands on as a teenager. When it came to school though, she was a serious science nerd. As a grown-up, even when she had almost no money, she never denied herself books. She notes on her blog that she was lucky enough to go to Paris a few years ago, but had terrible jet lag and couldn’t sleep. Somehow a story came to her, and she started to write. Before she knew it, she had written a novella. So then she wrote some more, and her writing became her happy place–somewhere she could escape to after the kids were all in bed. Over the next few years she was lucky to have professional help from the wonderful people at Humber College and the undying support of her family, including her daughter Anna, who inspired her soon-to-be-released first novel Code Blue. I was inspired to write Code Blue for my daughter Anna. She has always loved reading, and she and I were sharing dystopian books with strong female protagonists. I was happy that there were so many examples of girls saving the world. I kept looking for one in the mainstream market who saved the world not because she was brave, or could shoot arrows or jump off trains, but because she was smart. One day I decided that I would try to write one. Together, Mom and daughter run the weekly Green Girl Talk podcast, which covers topics such as climate change and environmentalism to pop culture and everyday life. I believe Thomas King was right when he said “The truth about stories is, that’s all we are.” Whether the issue is climate change, as it is in Code Blue, or something else altogether, like socio-political issues (1984 or The Handmaid’s Tale), I think that stories connect us to our worries in a deep visceral way. Facts and statistics are important, but so much of what motivates people to action occurs at an emotional level, and I suppose it is this I am trying to connect with. Naomi Klein, author of This Changes Everything, also talks about the importance of stories as they relate to climate change. She says that since the industrial revolution we have been telling a story of the planet as a machine that we can master and how this story has led to our current crisis. But she also says we are free to tell ourselves a new story about living in harmony with nature, a story where “no one and nothing gets thrown away”–a story of hope. I have so much hope. I know that terrible things will still happen as a result of climate change and that many people in positions of wealth and power are committed to making things worse. I also know that a lot is happening all over the world right now to adapt and mitigate the effects of climate change. I know that science and technology, and social movements, are growing exponentially. I know we can’t fix everything, but we can fix some things, or at least I hope we can. Right away I knew that I wanted Tic to be accessible. I wanted readers to think that the girl saving the world from climate change could be them. I didn’t want her to be a super-genius, and I couldn’t figure out how I could write a character who was smarter than I am. I definitely share some traits and experiences with Tic and am also very different from her in other ways. Tic has an automatic reflex to try to help others, and I think that stems from my own deeply held belief that helping others is what makes my life meaningful. I was able to draw on some of my memories of being a teenager. Like Tic I went to a small high school and often didn’t find myself challenged by the curriculum. I didn’t have lots of friends at school but wasn’t especially concerned with that. I also had three teens of my own while writing the book and found that helpful in terms of trying to keep things real. I think it wasn’t until after I finished writing Code Blue though that I realized that one of Tic’s defining issues is her absent father. My father, for whom I had great respect, was not physically absent as hers is. Nonetheless, I think there is a part of me that was always striving to find him emotionally and to impress him. For anyone in the greater Vancouver, BC area, please join Marissa and I at a book launch for Code Blue and my own book (Back to the Garden, Dragonfly Publishing, 2018) during Earth Day weekend, 2019, at Western Sky Books in Coquitlam, BC. More details to come.